Being given the keys to our very own house was one of the most exiting moments of my life so far. All of our hard work and determination had finally paid off and our tummies were full of butterflies when we put the key in the lock and swung open our front door for the first time. It's hard not to get carried away when you finally step foot into your new house. Being presented with a completely empty house that's all yours, the temptation to start shopping for expensive furniture to make your new home look perfect is overwhelming. Having worked so hard to save the money for our deposit we knew we had to be sensible about decorating our new home. A house full of beautiful trinkets would involve spending money that we didn't have and that could have been a slippery slope. As a first step we sat down together to write down a list of all the things we would ideally want to make our house functional. Whilst cushions and vases are pretty, it was more important that we had furniture to allow us to be comfortable in our new home. With a three bedroom house to fill we knew it was sensible not to try to furnish the entire house in one go. We agreed that the most important items of furniture to begin with were a bed, sofa, kitchen table and chairs. We bought all of these on a 0% interest credit card with an agreement to pay them off when we have a bit more money. After that we went for a trip round Ikea to make a note of the rest of the furniture that we'd want to finish decorating our home. Decorating your home with cheap furniture you can afford is great as a starting point, we know that over the years we can begin to replace things as and when we get more money. 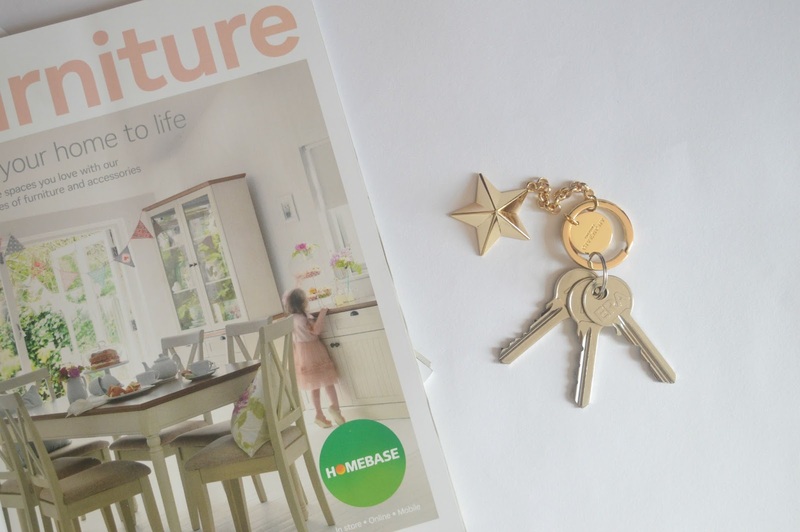 Furnishing your home is expensive and to help one of my lovely readers out, Newcastle Building Society have given us a £50 Homebase Voucher to give away! You can enter using the Rafflecopter below - best of luck! good luck in your new home! I understand how frustrating it is to have no furniture - two years on and we still have some bamboo tables in the living room that were going spare from my aunt's kitchen. I do recommend checking out second hand shops too - i managed to pick up my vintage style leather sofa for £35 including delivery and most people assume it cost thousands! 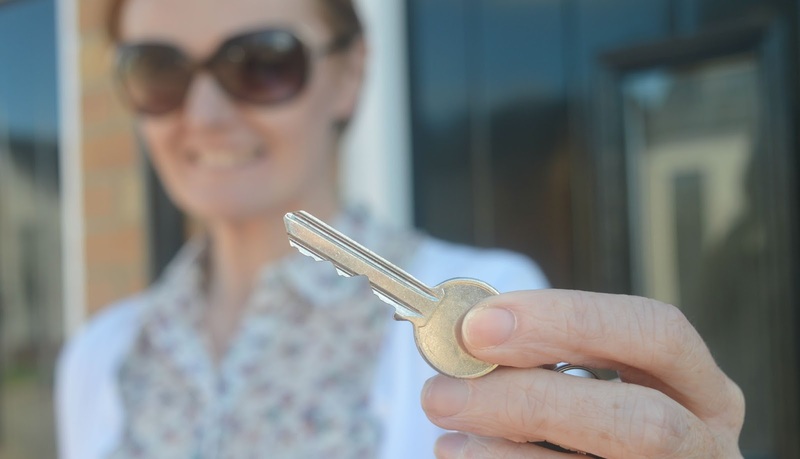 Just been reading your latest posts on saving and getting the keys to your own home. Congratulations to you both. 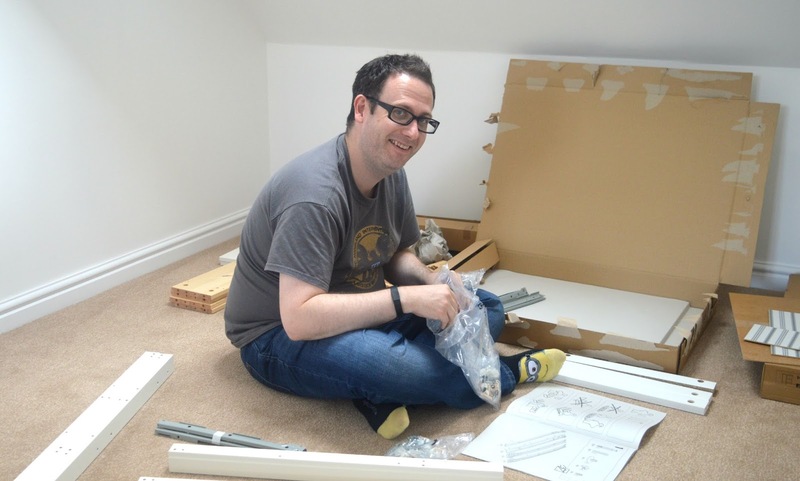 Everything takes time but you'll soon have it nice and homely! Ahh the credit card tip is handy! Even though Chris and I aren't in the position to buy yet, we do have plans to so I'll be thinking of this post in a few years time. The furniture tips though are things we've already done with rented places in the past - buy cheap and upgrade when possible! Hope you are enjoying your new home! We moved a month ago and I'm struggling to slow my husband down when it comes to making new purchases! Haha! We've bought a couple of essentials but have started out redecorating and are two rooms down now. Now is a really good time to buy outdoor Summery things like patio furniture and BBQs. We've gotten some really great deals from B&Q this weekend. It's really nice taking our time actually and hopefully means that when everything is complete we will be very proud of our house and feel quite an attachment! We are quite lucky (in a way haha) to of rented so long that we have a good amount of our own furniture that when we do finally get to buy our house we should already have everything we need :) I remember moving into our first unfurnished flat though and getting to build pieces up. It's sad to say but we slept on a mattress on the floor for months as a washing machine was higher than a bed on the list and I refused to get a credit card haha. I'm so excited for you and to see what you do with your blank canvas! !